Time: 9:30 a.m.- 6:00 p.m. Presentation slides by Prof. Jean Woo "Medical Ethics Principles May Drive Improvement in Quality of Dying in Hong Kong"
Presentation slides by Prof. Helen Y. L. Chan "Medical Ethics Principles May Drive Improvement in Quality of Dying in Hong Kong"
Presentation slides by Prof. Alastair V. Campbell "The End of Life: Why Bother About It?" Presentation slides by Prof. Nancy Jecker "Advance Care Planning: What Gives Prior Wishes Normative Force?" 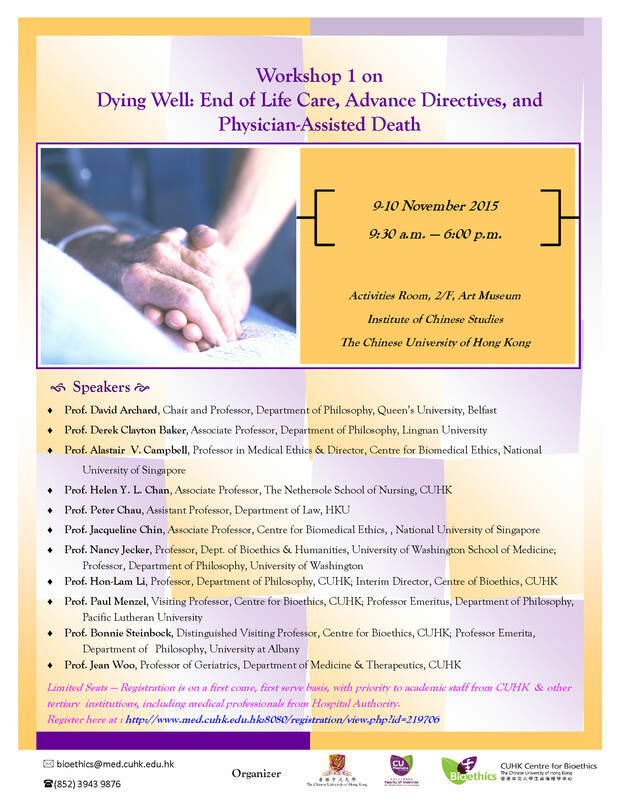 Presentation slides by Prof. Paul Menzel "Changing One's Mind: An Issue for Advance Directives"
Presentation slides by Prof. Jacqueline Chin "What Have We Learned about Facing the End of Life?" 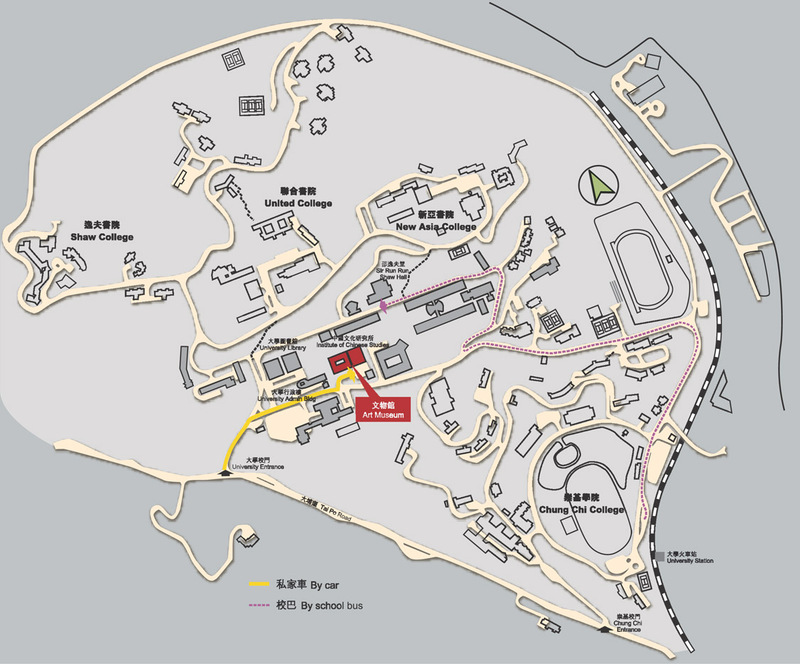 Presentation slides by Prof. Derek Clayton Baker "On Rationally Valuing One's Life"
Presentation slides by Prof. Hon-lam Li "Contractualism and Physician-Assisted Death"